One of the best ways to transform a plaque into an extraordinary commemorative memento is to choose etched, ceramic or metal photo. Metal, ceramic and etched metal pictures help bring to life the moments, events, people and places that you’re looking to memorialize with plaques. At Erie Landmark, we specialize in creating the aluminum, ceramic, brass, copper, stainless steel and bronze photo plaques that you need. Why Choose Etched, Ceramic or Metal Photos? When you choose etched, ceramic or metal photos, you’re getting a high-quality, long-lasting product that offers an elegant and meaningful method of commemoration. We offer a five-year warranty, for normal wear and tear, to provide added protection for your investment. At Erie Landmark, we focus on customization. When you contact us with a specific vision in mind, we want to help make your vision a reality — whether through etched photos, metal photos or ceramic photos. No matter what product you choose, you can count on service excellence and fast turnaround times. There are three different types of photos you can add to plaques. You can choose a metal photo, which is smooth and only available in aluminum. This process exposes your photo onto the photosensitive aluminum plate and the finished product will appear silver and black. If you choose etched photos, your background is raised and lowered due to the acid etching process. Etched photos can be done in stainless steel, bronze, brass and copper and you can choose from brown or black fill. Finally, we offer black and white or color ceramic photos. Ceramic photos are the best choice for outdoor color photos because the latest technology is used in the photo processing combined with ancient glazing techniques to produce a beautiful, time-tested product. No matter what method you prefer, you can order as a standalone plaque or to be epoxied onto an existing plaque. For best results, we need photo vector art files that are 300 dpi or greater in one of several formats: .pdf, .cdr, .eps, or .ai. Getting photos that meet or exceed these specifications even allows for some slight touch-ups to aging photos that need them. If you have any questions about file formats or whether a certain photo can be used, don’t hesitate to get in touch with us. Who Chooses Etched Metal Photos? At Erie Landmark, we serve a wide range of different types of customer. We often provide historical plaques to towns, districts and societies, and we regularly create custom plaques for schools, colleges, towns, churches, construction companies and other entities that need them. We are also honored to work with individuals who want to use bronze photo plaques or ceramic photo plaques to mark graves, to memorialize pets and even to give as gifts. In some cases, our etched metal pictures are placed in time capsules for future generations to enjoy. These are only a few of the many reasons why customers come to us for etched, ceramic or metal photo pictures. Let us help deliver the quality results you deserve. 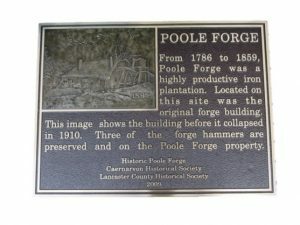 Erie Landmark is part of Paul W. Zimmerman Foundries, and we have roots in Central PA that date back to 1937. While we have decades of experience, we’re still a small business that focuses on outstanding customer service and going above and beyond to meet our customers’ needs. When you choose Erie Landmark for etched, ceramic and metal photo pictures, you get the utmost in craftsmanship and attention to detail — as well as a final product that is perfect for its purpose. Fill out the form below to get a free price quote for etched, ceramic or metal photos. Below are examples of our Metal & Etched Photos.